Romina Celeste’s husband reported her missing from their Costa Teguise home over the new year break, triggering a hunt for the 28 year old Paraguayan. He made the report 7 days after she disappeared, claiming she had “gone missing” previously. Her husband, a Spanish citizen, was arrested yesterday after sufficient evidence was found at the house to suggest something untoward had occurred. Under questioning, he changed the “missing” claim to suggest that he had come home on New Year’s Eve to find her dead body, which, in a panic, he decided to dispose of. Police divers are searching in the area of Los Hervideros. The husband has been previously denounced by Celeste for violence. The Cabildo has paid out a total of €415,000 as part of it’s “Emprende Lanzarote” programme to encourage entrepreneurs to create new businesses. The awards were mainly of €10,000 and €5000 denominations to encourage the hiring of new staff. More than 4,000 KG of seed potatoes were distributed by Teguise Ayuntamiento to local farmers, to encourage the continued production of local produce. The number of new work contracts signed on the island in 2018 was down on the previous year. A total of 71,805 new work contracts were signed, compared to nearly 76,000 in 2017. The upside is that over 15% of the contracts were permanent, compared to 13.8% in the previous year. 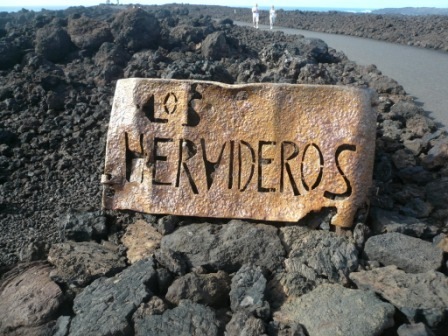 More information about work contracts in Lanzarote. FITUR is the international tourism fair held annually in Madrid. 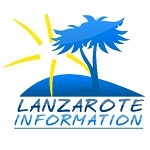 A delegation from Lanzarote will attend the event as part of the plans of Turismo Lanzarote to secure tourism from new markets. As well as speaking to delegates from France and Belgium, much of the focus will be on winning new visitors from the Spanish mainland, a segment which grew by 5% last year. Lanzarote had heavy rain on Thursday this week, after a dry spell going back to the beginning of December. The rain has also been accompanied by a drop in temperature. It’s forecast to be dry for the next few days, with temperatures slowly climbing. The dock for the new cruise terminal for Playa Blanca is being constructed in Arrecife – you can see the cranes at Puerto los Marmoles from the circunvalacion. The first of 16 sections has been completed, with the remainder due to be finished by the autumn. The sections will be transported to Playa Blanca by sea. The €39 million project has been mainly funded by the EU. Naviera Armas has increased the number of sailings from Arrecife to Las Palmas de Gran Canaria, with the introduction of second ferry to the route. It’s now possible to make the journey every day of the week. The new service is an overnight one, departing Arrecife at 2300 or 2330 and arriving in Las Palmas first thing in the morning. Villa 484 is a really spacious 4 bed, 3 bath property with private pool and stunning ocean views. Ideal for two families or a larger one.